5th July 2018, marks the date when Lakme Fashion Week chose 29 new faces from their Plus Size Auditions held at St. Regis, Mumbai. aLL-The Plus Size Store has collaborated with ace designer Narendra Kumar who will be designing ‘aLL PRIMERO’ Collection, for aLL’s Autumn Winter’18 collection. This line will be showcased at Lakmé Fashion Week Winter/Festive 2018 and would be available in stores at the same time. The collection promises to be chic, classy and stylish and will cater to the needs of its plus-size customers. Auditions saw more than 300 participants registered for this event and everyone walked the ramp with full grace and confidence. 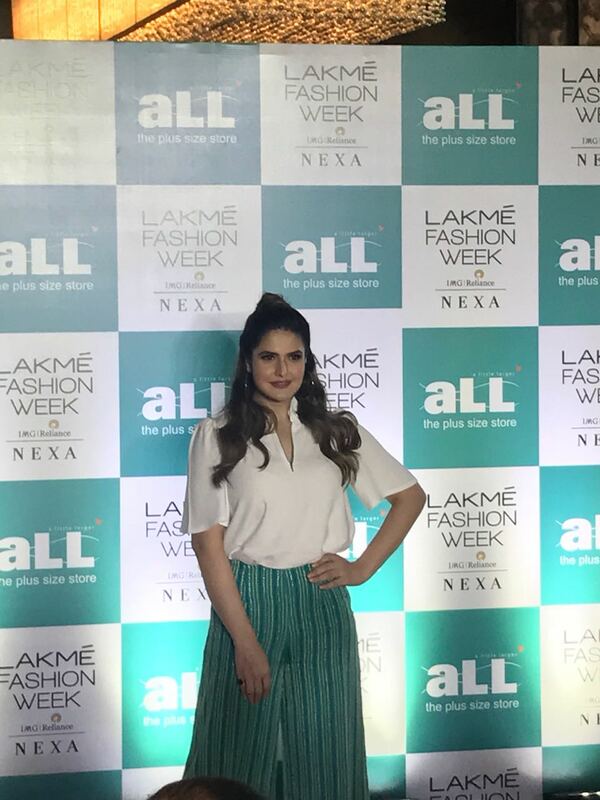 Actress, Zareen Khan said, “Very happy to see that we had a great turnout. The Plus Size Fashion Show by aLL at Lakmé Fashion Week is an excellent initiative in bridging the gap between fashion and plus size consumers. aLL's motto of 'Fashion is for one and all' is something I believe in since at some stage I was also plus size and had no option but to dress in anything that fit and was available, not necessarily being what you want to wear". Jaspreet Chandok, Vice President and Head- Fashion, IMG Reliance Pvt. 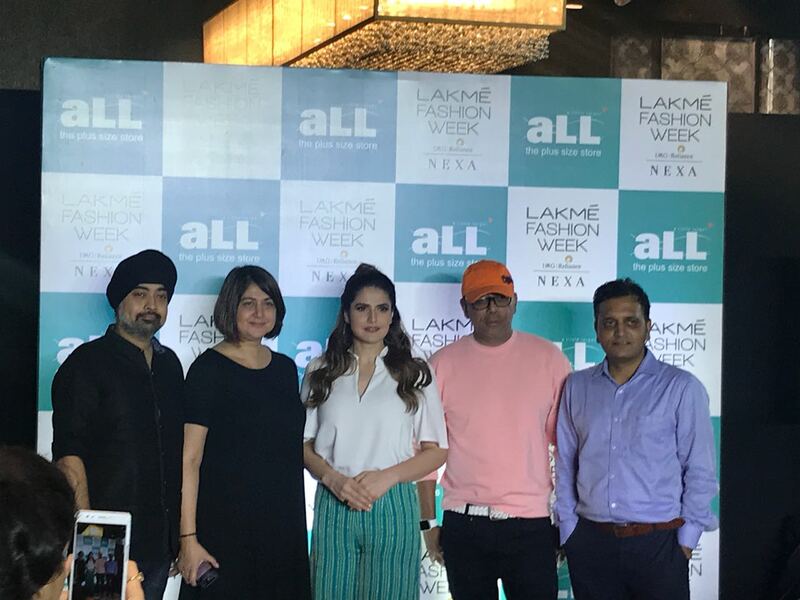 Ltd, said, “Lakmé Fashion Week has always stood for inclusivity in fashion, and the plus size show that we do each season is the testament to our belief that fashion is for everyone and not just for a specific set of people. We want to grow this movement as the years go by”. Narendra Kumar added, “It has always been a pleasure to be associated with Lakmé Fashion Week. Judging this event, in particular, was very overwhelming, because of the contestant’s confidence, perseverance and spirit. Varied personalities came to the auditions today, and the winners thus chosen are a great combination of different sizes and talent. I am delighted to be with aLL - The Plus Size store this season at Lakmé Fashion Week and I am sure these models will carry the line with great panache”. Apps For Android That You Need To Install ASAP!